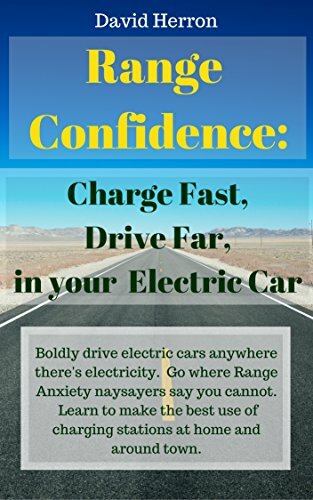 Hi, I have been stalking the forum for some time and I can now give you a summary of my background and plunge into the EV world. I am located in Brisbane, Queensland, Australia. I have been playing around in grass roots motorsport for about 12 years. Generally I compete in Autocross, Khanacross, Motorkhana, Hill Climbs and sprints. With the exception of the sprints all these sports are a time trial involving a standing start. I saw a Fiat Turbo Diesel doing quite well so I figured if torque is an advantage then electric motors are the way to go. I toyed with the idea for a while before makign the decision to proceed in March 2015. I decided on front wheel drive as front wheel drive statistically has an advantage over rear wheel drive in my sports and all wheel drive is against our rules. I found an Advanced DC FB1-4001, built a chasis from the ground up and used a lot of running gear from a old Nissan Pulsar. By November 2015 I had a working prototype using lead acid batteries and a Curtis controller. 2016 was a bit of a development year while I sorted out all the teething issues. The first event was Feb 2016 (11 months after commencing the build). Over the following months I soon found the batteries and the controller were not up to the task. But even then I was placing in the top 25% of the all ICE field. I also experienced brake failures, suspension failures etc etc as expected with a first attempt at a home made chassis. Mid 2016 I converted to a Lithium Ion pack from a Chevy Volt and a 1000amp Zeva controller and it has transformed the car. So far I have only entered in Motorkhana and Khanacross but I will soon enter some hill climbs too as soon as I have everything dialed in. My best result to date was a 3rd place outright in the 2nd round of the Queensland Motorkhana Championship. The car is better suited to khanacross as it is just as wide as a road car while most motorkhana cars are single seaters allowing them to dart between the obstacles at greater speed. Khanacross is more flowing and is suited to a car like mine with a firmer footprint and low centre of gravity. The car weighs in at 530KG without the driver. I have at the design phase of my next project. I have planned to build a whole new car in parrallel. But recently I decided to build a new chasis but then transfer most of the components from the first car to the second. This approach will save a heap of time and make it more achievable financially. I realised I am losing some of my torque advantage being front wheel drive, so the new car will be rear wheel drive. I will take everything I have learned from the first car and apply it to the new one. I am confident I can reduce the weight by 100KG (hopefully more). That would bring the weight down to around 430KG. The weight isn't the main improvement though, the width will also reduce to make it more competitive in motorkhana. At this stage I am hoping to build the chasis by the end of 2017 so I can have the new car racing in 2018. But that is tight so I won't bet my house on it. I will add some photos and videos shortly. Oh and by the way. I created a brand name so people can find my EV easily. Just google "Full Charge Motorsport"
Here is an external view from last Sunday. This was a khanacross. I included the previous competitor (Dan in his WRX) so you can see the comparison in speed. This particular run I actually had a very competitive time but threw it all away when my wet shoe slipped off the brake at the finish line. Because we are required to stop at the finish line I earned a 22 second penality which cost me 10 places in the standings. My next event is a motorkhana and is coming up soon. It will be held at Willowbank on June 18. IF anyone is local feel free to come and take a look. Spectators are free. I'll post another update after the event. Had mixed results in that last Motorkhana. I got quite a few 2nd and 3rd places in many runs. But brain fade cost me dearly in a couple of runs and it really brought my average down. I ended up 11th outright. Still happy enough though. I just need tobe more consistant. My next event is a khanacross at Lakeside this Sunday. It should really suit the car. I'll post an update after the event. I had a ball at the Lotus Khanacross at lakeside. The track is quite tricky with a couple of blind corners. It really would help to have track time on this one. My first few runs were average at best but I did improve on my last few runs. I really struggled due to rear end grip. You know it’s bad when you are over steering in a front wheel drive car. I managed to come 34th from 66 competitors. That’s not bad considering the quality of the field. I beat 6 out of 13 Lotuses and 9 out of 16 Porsches. If I wasn’t retiring the car I could put better tyres on the rear and improve the rear geometry and I would be confident of picking up quite a few places. Overall I am quite happy. Hi everyone. Appologies for not posting for a while. It has been a heck of a journey (not implying it is over). The car is coming along nicely. But it still isn't competitive. I seem to be hovering around the mid field in most results. Not bad in itself as I am usually up against some seasoned competitors in some goo cars. So as I usually say I am happy but not content. The last event of 2018 was an autocross/khanacross. But it was very very wet which emphasised the understeer to the point where is was not managable. I don't have a video for that event. I started with a check of all the suspension geometry including Castor, camber, king pin inclination, roll centres, toe in and Ackerman angle. Castor was about right on the driver side but significantly more aggressive on the passenger side. This will be resolved as I complete the new front contro...l arms. Camber, king pin inclination and roll centres were about where they need to be. Toe in was correct but will need to be adjusted again as it will be impacted by all the other changes. Ackerman angle was a little out on the passenger side but not enough to warrant a change in the short term. The driver side was out by a bit more and I have now replaced the adaptor plate to bring it in line with the passenger side. I have made some solid progress on a second nose for the car. The first nose is for lower speed events where it is an advantage for the tyres to be in front of the nose. The new nose is sleeker, and will include a wing for additional downforce (maybe). The two noses are interchangeable depending on the upcoming types of events. The nose and wing are structurally complete and just need the panels to be added. I have created some ballast in the form of a 10kg lump of lead. This can be added or removed depending on conditions. I intend to only include it in wet weather where the understeer characteristics seemed to be pronounced. I have made new front control arms. These are designed to address the inequality in caster from left to right. They are also designed with a slight bend in the front bar of each arm. The bend is to improve the angle of the rose joint attaching to the chassis mount. I was concerned about the bend creating a weak point in the control arm. So you can see I added some significant reinforcing to ensure it can handle the forces. I am also part way through a modification of the hydraulic handbrake setup. The existing setup has a single master cylinder serving both rear wheels equally. The braking capacity was insufficient to overcome the grip of the rear tyres. The new setup will have dual master cylinders opposing each other with a handle in between the cylinders. Pushing the handle forward will operate the right rear brake and pulling it back will operate the left rear brake. Operating one of the rear brakes at the same time as some mild acceleration should enable the car to perform very tight turns when required (one of the requirements it has struggled to satisfy in the past). The car will retain the cable handbrake for parking and as an emergency brake. I have created the adaptor brackets required for the modification but I will need a full weekend to install system, rerun all the hydraulics and bleed the system. I had a great day at the 2019 Interclub motorkhana on Sunday. The car was fairly good. I am starting to get the hang of driving the car in this latest format. The new hydraulic handbrake in particular takes some practice. I also think it works best once warm. I did have some issues knocking my switches in the heat of battle resulting in a loss of power. So I will make a cover to avoid this in future. I am waiting for the calculation of the final results but I am hopeful of a solid result, possibly my best ever. I did capture some video but I am trialling a new camera and the results are not worth posting. I will need to do some more testing before the next event. Well the results are in. I managed 7th from 44 entries. Not quite as good as I was expecting. Still respectable. I also managed 2nd in class, again behind the same competitor. I would have been 6th if I hadn't loaned my car to the 3rd place getter when his car died. The car is heading in the right direction and I have a few ideas for improvements. The next event is the Noosa Hill Climb early June so I won't be facing the same challenges.